Weather concerns an initial value problem: Given today's situation, what will tomorrow bring? Weather is chaotic; imperceptible differences in the initial state of the atmosphere lead to radically different conditions in a week or so. Climate is instead a boundary value problem — a statistical description of the mean state and variability of a system, not an individual path through phase space. Note the words: A statistical description of the mean state and variability of the system. Every word is important. Climate is more than an average of weather. It also describes the extremes of weather, and the extent to which weather is likely to vary within those extremes. When modeling climate and changes in the earth system, there are certain constraints, or limits, or boundaries. These constraints can include surface boundaries such as continental configurations, topography, bathymetry (topography of the sea floor), and vegetation distribution. On shorter time scales there are constraints relating to ice sheets, oceans and the atmosphere itself. Defining these constraints or boundaries is what scientists do when designing models of the earth system and climate. Boundary conditions, which are set when developing models of climate or the earth system as a whole. These can be any physical constraints. I’ve heard many times that whereas weather prediction is an “initial-value” problem, climate prediction is a “boundary problem”. I’ve often wondered about this, questions like “what is the boundary?”. I woke up today thinking that I didn’t have an adequately clear understanding of the difference between the two types of problems. The solution x(t) and/or its derivatives are required to have specific values at a single point, for example, x(0)=1 and x’(0)=2. Such problems are traditionally called initial value problems (IVPs) because the system is assumed to start evolving from the fixed initial point (in this case, 0). The solution x(t) is required to have specific values at a pair of points, for example, x(0)=1 and x(1)=5. These problems are known as boundary value problems (BVPs) because the points 0 and 1 are regarded as boundary points (or edges) of the domain of interest in the application. The symbolic solution of both IVPs and BVPs requires knowledge of the general solution for the problem. The final step, in which the particular solution is obtained using the initial or boundary values, involves mostly algebraic operations, and is similar for IVPs and for BVPs. IVPs and BVPs for linear differential equations are solved rather easily since the final algebraic step involves the solution of linear equations. However, if the underlying equations are nonlinear, the solution could have several branches, or the arbitrary constants from the general solution could occur in different arguments of transcendental functions. As a result, it is not always possible to complete the final algebraic step for nonlinear problems. Finally, if the underlying equations have piecewise (that is, discontinuous) coefficients, an IVP naturally breaks up into simpler IVPs over the regions in which the coefficients are continuous. This is where I think he starts to go astray (given his example), though I can't be sure if it was at that point or another. Willis wrote about two different boundaries. In one he quoted an extract about a free boundary in a simple climate model "being the interface between ice‐covered and ice-free areas". In another he quoted from Roger Pielke Sr that "The boundaries in the context of climate prediction are the ocean surface and the land surface". Willis asks who is right - either or both? I think he wants a single boundary defined, this is despite his first question in which he wrote about "boundary conditions" (implying more than one boundary). Most people would recognise there are multiple boundaries, and some of those boundaries would depend on the time scales. For example, over thousands of years, the geographic distribution of land masses in the oceans can be assumed as fixed. Over hundreds of millions of years, they cannot. My conclusion from all of this, which I think is shared by Dr. Pielke, is that climate prediction is an initial value problem. I say this in part because I see no difference in “climate” and “weather” in that both seem to be self-similar, non-linear, and chaotic. It's really odd to me that Willis doesn't see the difference between climate and weather. (I don't know what Willis means by "self-similar".) If climate were "chaotic", we'd not be able to predict seasons, for example. There'd be no consistent winter, spring, summer or autumn. We'd not be able to predict that winter is colder than summer in the mid- and high latitudes. We'd not be able to predict that Arctic sea ice would expand in the colder months (or that there would be any particular months that are colder). Willis also says that "Much of the improvement in our weather predictions is a result of satellites which give us our initial conditions in exquisite detail. " This may be true but it's not the whole story. Another "much" of the improvement is because of the improvement in climate models, "much" of which arises because of the improvement in computer capacity. Computers can now do many more calculations in the same time. They are much more powerful. So things that used to be approximated can now be calculated. Having specified the boundary, how can we know the future conditions of the boundary? Egads … a post without a single graphic … curious. Willis seems to want a single boundary. It looks as if he's confusing the result (the extremes defined by a particular climate - or the boundary of any climate) with the "boundary problem". The latter as I understand it is about setting limits or constraints or boundaries on different aspects when developing climate models. For example, that the configuration of land is fixed, that there are given amounts of greenhouse gases, that there is a known amount of ice and its location, that the troposphere can't have much more than 100% relative humidity etc etc. But how can climate be predictable if weather is chaotic? The trick lies in the statistics. In those same models that demonstrate the extreme sensitivity to initial conditions, it turns out that the long term means and other moments are stable. 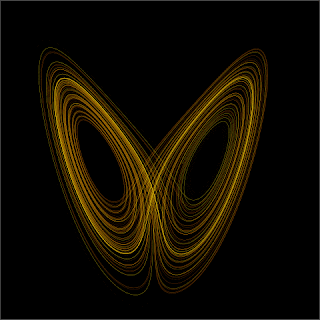 This is equivalent to the ‘butterfly’ pattern seen in the figure above being statistically independent of how you started the calculation. The lobes and their relative position don’t change if you run the model long enough. Climate change then is equivalent seeing how the structure changes, while not being too concerned about the specific trajectory you are on. It doesn't matter if the weather today is wet and windy or cool and sunny, it's still an autumn day (or a spring day if you live in the northern hemisphere). The "wet and windy" is the weather. The spring or autumn day is the climate. If where I live we suddenly had a week of temperatures hitting 47°C, we'd be experiencing something outside the boundaries of the known climate for this region for this time of the year. It seems that deniers have a real problem with understanding the above. Although I don't blame anyone for not being able to come to grips with chaos theory, the fact that climate can be predicted is something that I figured anyone would be able to accept. Or at least the climate and weather are two different things. I think of climate as defining the usual limits of weather. The extremes beyond which weather at a particular location is unlikely to go. As climate changes these extremes are being stretched, just as the "average weather" is shifting. This is shown in the video of the shift in northern hemisphere summer temperatures, from NASA. We sometimes describe climate as “average weather over a long period”, but in reality it is the other way round – the climate constrains what kinds of weather we get. I’m surprised. I would think the boundary would really be the space/atmosphere. Land and water are part of the “inside” of the system. At the very least you have to include it along with land and water if you are just considering atmosphere and, if your taking that approach, possibly you should include ice. May 25, 2015 at 4:21 pmWeather predictions are largely fluid dynamics problems whereas climate prediction is largely a thermodynamics/heat transfer problem. Weather predictions require transient solutions (predictions marching through distinct time steps) and require boundary conditions in both time and space, including an initial value at all gridpoints as well as rules for interacting with boundaries, primarily the land/air interface, i.e. boundary conditions. Climate models, to my knowledge, are largely steady-state solutions for the entire closed system of the earths atmosphere at some future date- the boundary conditions in this case are the interaction between the upper atmosphere and outer space, as well as the atmosphere and the land/sea. In this sense boundary conditions are not actually a set of conditions in the future but a set of rules by which the model operates at the defined boundary. Climate prediction is palm reading. This is the loosest scam ever. As if anybody could control the climate or really cared about their hypothetical great grandchildren. What a bizarre time to exist. Climate prediction is not a boundary value problem (BVP), irrespective of whether the boundary is time (between now and the end of the century, say), or atmosphere/surface, or ice/water, or anything else. This is because the problems are not well-posed. Well-posed BVPs have unique solutions that vary continuously with their inputs. No climate projection has ever been shown to be (or claimed to be, as far as I know) a unique solution to a well-posed BVP. This is why ensemble modelling is used: compute a load of things that could be BVP solutions, then take some sort of average. Well-posed BVPs do get solved all the time in areas like designing wings for aircraft, geophysics and electrostatics. Real science (where there’s a problem if the wings fall off, you drill in the wrong place, or your industrial painting doesn’t work), rather than climate pseudoscience (where observations are never matched to projections). In summary, whoever said that whereas weather prediction is an “initial-value” problem, climate prediction is a “boundary problem” wasn’t a mathematician. Andres Valencia has odd notions when it comes to who might be considered "genius". I agree that Wolfram is a total genius. Dr. Pielke is another one. I think weather forecasting will be improved by satellite observations. Climate predictions, not so much, because of the chaotic nature of weather, with becomes climate in aggregate form. I have seen incredible advances in weather forecasting as practiced by Joe Bastardi. Another genius. The NWS does an acceptable job with 3-days forecasts, the 7-days forecasts, not so much. The hurricane seasons forecasts by Dr. Philip Klotzbach and Dr. William Gray of Colorado State University, are quite good. NOAA-NWS, not even in the same league. The boundary value referred to is the changing IR cooling of the climate system due to increasing co2. Roy Spencer May 25, 2015 at 5:55 pm "The boundary value referred to is the changing IR cooling of the climate system due to increasing co2." "However, if the underlying equations are nonlinear, the solution could have several branches, or the arbitrary constants from the general solution could occur in different arguments of transcendental functions. As a result, it is not always possible to complete the final algebraic step for nonlinear problems." It might be an issue of the scale on which the prediction is made. If you are trying to predict climate for the next 100 years, its unlikely the land / sea boundary will change very much, probably even the ice cover / ice free boundary won’t change very much. But if you are trying to built a climate model which can handle 10s or 100s of millions of years, there will be substantial changes over this period to the land / sea distribution. Trying to build a special case climate model which can handle the next 100 years, is probably a different class of problem to trying to build a general climate model which can accurately replicate climate change over millions of years – though without understanding of the general case, its difficult to see how you could create a reliable special case model, without a lot of empirical tuning (say 100 years worth ;-) ). ristvan might or might not have understood a word that Willis wrote, but he thinks it's "brilliant". From a Mathematica user, never failed yet even if some is unsolvable. How can climate be a boundary value problem if climate is the average of weather, which is an initial value problem? Time can’t be the boundary. I don’t see any boundary to the climate of my mid-west USA location or any other location, given enough time. After my neighborhood has put the glacial/interglacial cycles in the rearview mirror, the climate in my neck of the woods could become desert, Mediterranean, tropical; who knows? Now that’s just my regional climate. What will the global climate be, if there is such a beastie; snowball earth, a lava lamp? Weather predictions require the exact weather conditions as a starting point. I.e. they take the most recent measurements, put them on a grid (with as small a mesh as practically possible) and let a supercomputer calculate how the system will progress step by step. Climate predictions don’t care whether or not it rains today or not. The goal is to predict the long-term average and then it does not matter whether your starting point happens to be a cold autumn day or an extreme heat wave or whatever. Much more important are the factors that keep things stable in the long term. These are the boundaries that are referred to. It may be a bit of a confusing term, since you shouldn’t so much think of them as boundaries in space or time, but rather as the constants or constraints that the system is subjected to (constraints would probably be a better term imho). For instance the average power the earth receives from the sun, the rotational speed of the earth, et cetera. So basically all the factors that the determine what the average conditions will be irrespective of the extremes that may happen from time to time. You have looked at the terminology of ordinary (1D) differential equations. I do not think that is what is meant. Dr Spencer is on the right track. The right analogy might be flow along a river or channel (PDE). Seen as an initial value problem, you calculate the velocity cross-section going in, solve for momentum etc. But that doesn’t get you very far. As a BVP, you forget about initial conditions, and look at what happens along the way. There is loss of altitude, boundary friction, maybe cascades, and of course the constantly varying depth. These are what you use to determine the river flow in the longer term. You can’t usefully forecast the flow from the initial conditions, but that doesn’t mean you know nothing. If you do a CFD model, you’ll need turbulence (weather). 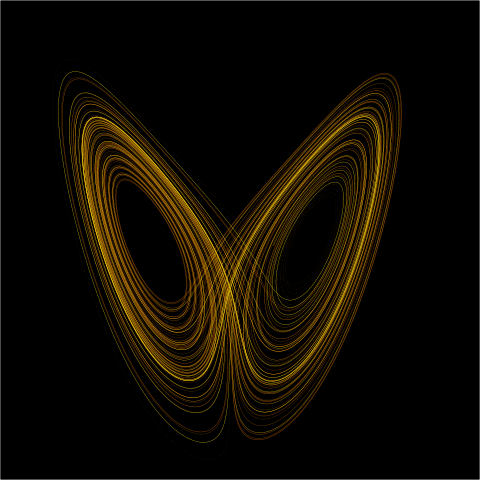 But it is random, and you are only interested in what it does to the mean flow. Just the part between “I’ve” and “curious”. But seriously, if someone could tell me the difference between j x omega and s then I’d be happy to explain the difference between BVP’s and IVP’s. I think it's extremely important to restate that these people truly believe they know more than the scientists. Nice post Sou. I can see how the comment on nonlinear systems would get a non-expert excited - it appears really damning to someone who has no experience solving these kinds of physical problems. "Willis wrote about two different boundaries. In one he quoted an extract about a free boundary in a simple climate model "being the interface between ice‐covered and ice-free areas". In another he quoted from Roger Pielke Sr that "The boundaries in the context of climate prediction are the ocean surface and the land surface". Willis asks who is right - either or both?" Oh FFS. And this clown is one of their "experts"? "Well-posed BVPs do get solved all the time in areas like designing wings for aircraft, geophysics and electrostatics. Real science (where there’s a problem if the wings fall off, you drill in the wrong place, or your industrial painting doesn’t work), rather than climate pseudoscience (where observations are never matched to projections)." I guarantee airplane wings aren't analytically solved either -- it's also done in simulation. If these people were as sceptical of engineering simulations as they claim to be in climate science, they'd never leave their tent. I suggest Willis start with Kowalik and Murty chapter 2.2.
" As a result, it is not always possible to complete the final algebraic step for nonlinear problems." - it is never. Numerical calculations will do fine however.